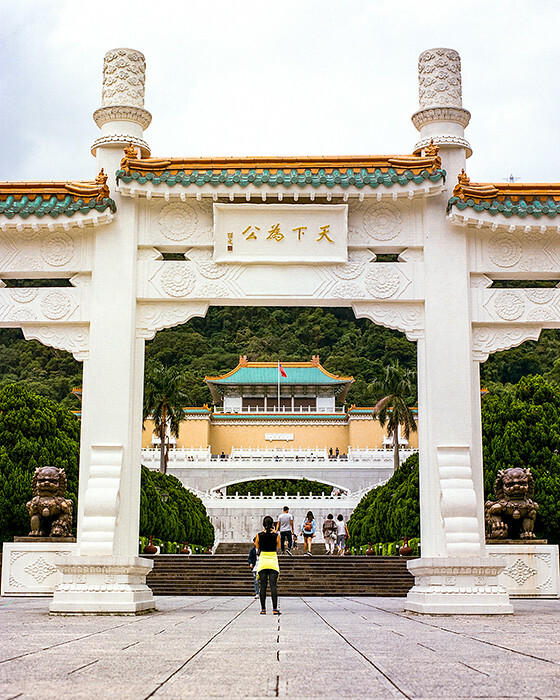 For the first half of our week in Taipei, we debated whether to visit the National Palace Museum. The cons: It’s like the Met of Taipei, except more epic, so it teems with tourists. The pros: It’s like the Met of Taipei, except more epic, so you kinda need to go. © 2016. National Palace Museum in Shilin District. Saturday, Sept. 10, 2016. Portra 160+1, Pentax 6×7. Located in the Shilin District, the museum’s collection of almost 700,000 Chinese imperial art and artifacts spanning about 10,000 years of Chinese history. It’s not without its own controversy: The collection was originally housed and displayed in Beijing, until the 1930s when Generalissimo Chiang Kai-shek ordered that the most valuable pieces be evacuated ahead of the advancement of the Japanese Imperial Army. The collection continued to be moved around until the surrender of Japan in 1945. Three years later, the museum again evacuated the most valuable pieces, this time to Taiwan, before the Communist army seized control of the museum. The People’s Republic of China claims the collection currently in Taiwan was stolen and actually belongs in China, but the Republic of China (Taiwan) has used the art and artifacts to bolster its claim to legitimacy because those items would likely have been destroyed during the Cultural Revolution in the mainland. In the end, Jeff and I visited the museum by ourselves, going through almost every exhibit, relishing the air conditioning and trying to stay ahead of the traffic clogs that were the official tour groups of Japanese and Chinese tourists. We also visited the Zhishan Garden that’s outside the museum, but it was raining pretty hard, so I didn’t take any photos. © 2016. 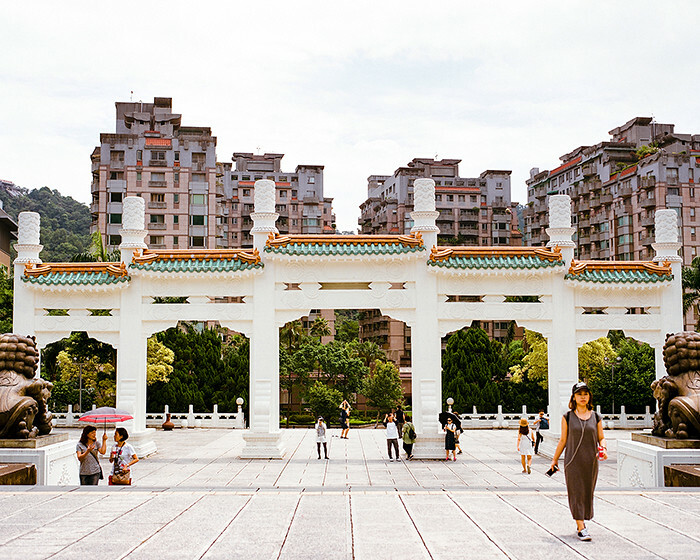 Gateway to the National Palace Museum, facing the street and apartment buildings, in Shilin District. Saturday, Sept. 10, 2016. Portra 160+1, Pentax 6×7. I’m glad we made the decision to go, as disappointing as it was to learn that the museum’s most beloved pieces — the jadeite cabbage and the meat-shaped stone (literally, a piece of jadeite carved to resemble a head of cabbage and a piece of jasper carved and colored to resemble braised pork belly) — were temporarily being displayed elsewhere. I’m much more familiar with European and American art, so it was refreshing to learn more about Chinese art and history.